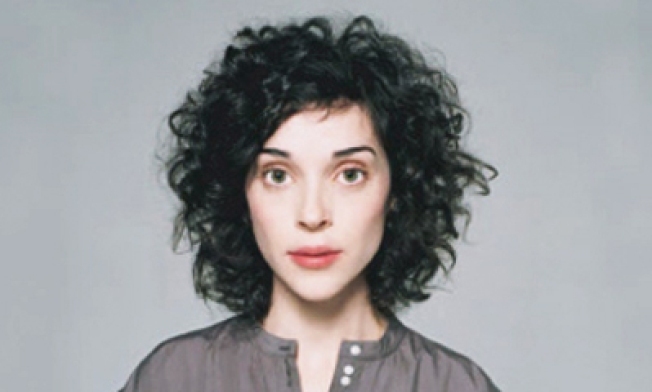 St Vincent brings her ethereal soundscapes to Webster Hall. ALL SAINTS: How to describe St. Vincent, exactly? Ethereal vocalist, electro-orchestral composer, former backgrounder to Sufjan Stevens, zeitgeist sprite? However you describe her, she's making some of the most original music you've heard in a while. Webster Hall, 8PM. LOSERS LOUNGE: Hey, you know all those passed notes, diary entries and photos of you and your prom date taken by your dad that you wish you could burn and never see again? David Nadelberg collected a whole bunch in the book "Mortified: Real People, Real Words, Real Pathetic," and some of his contributors share their youth's embarrassing (but ultimately touching) ephemera at (Le) Poisson Rouge, 6:30PM. RECCED: If you haven't yet sampled the twee genius of the World Record Appreciation Society (we have, and bearing witness to Most Pepperidge Farms Goldfish Chicken-Pecked Off A Table In One Minute leaves a mark, believe us), head to Crash Mansion tonight for WRAS installment No. 6, where ordinary Joes will try to break ordinary records, such as Most Knock-Knock Jokes Told in One Minute. 8PM.